For property buyers who are in search for the epitome of waterfront living, this is probably the best time to re-enter the private residential segment in Sentosa Cove as prices are transacted at the level last seen in 2006. For instance, a 1,647-sqft unit at The Oceanfront @ Sentosa Cove (a 264-unit high-end Sentosa Cove condominium developed by City Developments Limited) was recently listed for sale at S$2.1 million (or S$1,275 psf). At this asking price, it is relatively close to its new launch price back in year 2006, as a similar unit was transacted at S$2.25 million or S$1,368 psf that year. Prices surged in 2007 where 2 similar-sized units on the lower floor level were sold at S$1,660 psf and S$1,638 psf respectively. 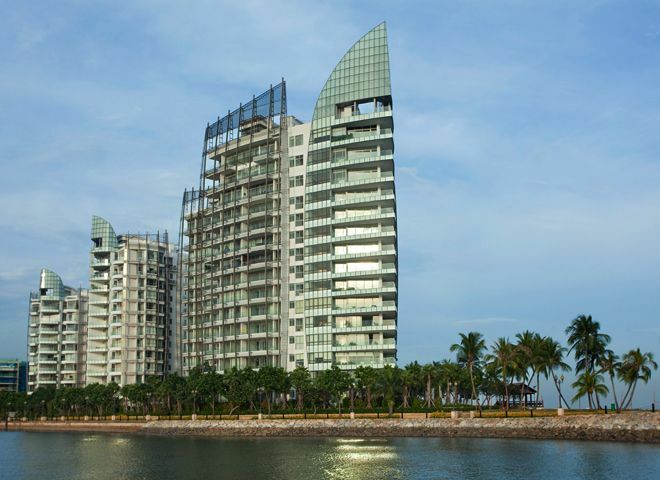 The Sentosa Cove condo was completed in year 2010. Similar to the rest of the luxury residential property segments, prices of condos at Sentosa Cove have continued to crumble from the property cooling measures, which include a substantial Additional Buyer’s Stamp Duty amount payable for foreign purchasers, on top of the transaction price of the property. Other condos in the precinct, such as Turquoise Sentosa, W Residences Sentosa and Seascape have also faced similar challenges in terms of pricing. The “ripple effect” have also affected the landed properties on the island, as bargain deals for Sentosa bungalows are lurking around in Sentosa. According to transaction data from Urban Redevelopment Authority (URA) of Singapore, prices for the luxury non-landed residential properties have declined by as much as 9% since the last peak attained during 1Q2013, back to the level seen in 2010. This certainly presents an opportunity for the property buyers. However, a point to note is that the median rents at Sentosa Cove condo projects have also softened by 3.9%, from S$4.28 psf to S$4.11 psf per month year-on-year (y-o-y) in 3Q2015. Then again, the volume for rental have surged to a staggering 211 contracts in a single quarter y-o-y.